FRESH HAS REACHED A PINNACLE. 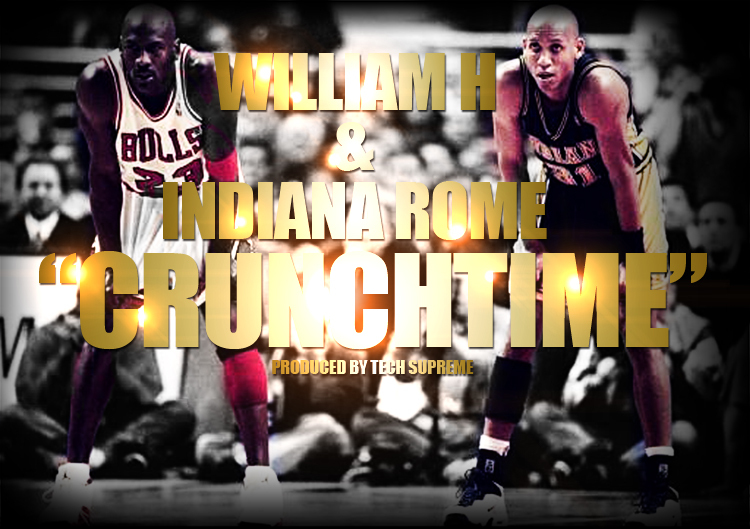 WILLIAM H. AND INDIANA ROME TEAM UP TO SHOW YOU HOW TO DO THIS SON! “CRUNCH TIME” IS THE FIRST LEAK OFF THE UPCOMING EP, “EASTERN CONFERENCE FINALS”. KILLER KICKS AND SLAPPING SNARES PROVIDED BY TECH SUPREME. JORDAN VS MILLER, ENJOY THE HIGHLIGHTS FOO! This entry was posted in Hip-Hop, Rap and tagged rome, techsupreme, William H. Bookmark the permalink.